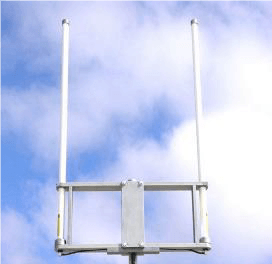 The HD-IPT220-D-7 antenna is designed to be used in commercial railroad applications such as: PTC “Positive Train Control”, yard/fleet maintenance, and rail service agencies. Maximum Wind Load: 125 mph – 21 lb. lateral thrust. (201 km/h) – 9.5 kg lateral thrust.